Thyroid dysfunction is fairly common among pregnant women and can often result in additional obstetric complications. A new study published in The Journal of Clinical Endocrinology & Metabolism shows that thyroid screening — despite some controversy as to its usefulness — could help identify women who might benefit from additional prenatal care. Compared to euthyroid pregnant study participants, pregnant participants with abnormal, trimester-specific thyroid function, specifically, elevated levels of circulating triiodothyronine (fT3), were at increased risk for gestational diabetes mellitus (GDM). Hypothyroxinemia (defined by 2017 American Thyroid Association [ATA] guidelines as normal thyroid-stimulating hormone [TSH] and low circulating thyroxine [fT4] levels) in the second trimester of pregnancy was significantly associated with risk for developing GDM. Neither overt nor subclinical hypothyroidism (defined by ATA guidelines as high TSH and low or normal fT4) was significantly associated with GDM risk although the point estimate indicated an association with an increased risk. This is possibly attributable to a low statistical power of the current study, which had only 20 cases of hypothyroidism in the GDM group. Pregnancy places quite a physiologic demand on the thyroid gland, which resultingly increases 40% in size and increases production of thyroxine (T4) and triiodothyronine (T3). It therefore stands to reason that the effects of any thyroid dysfunction will be amplified during pregnancy, and this can have negative implications for the long-term health of both the mother and child. “Abnormalities in thyroid function are relatively prevalent among pregnant women and have been linked to several obstetric complications,” says Cuilin Zhang MD, PhD, of the Eunice Kennedy Shriver National Institute of Child Health and Human Development (NICHD) in Bethesda, Md. “In addition, given the important role that thyroid hormones play in glucose metabolism and homeostasis, thyroid dysfunction has been suggested to play a role in the etiology of gestational diabetes mellitus (GDM), a common metabolic complication in pregnancy.” Some previous studies have demonstrated increased incidence of GDM with varying levels of hypothyroidism and others with low levels of free T4 (fT4). Others found no significant association between thyroid hormone levels and development of GDM. With existing evidence thus conflicting, and sparse longitudinal data formerly available, senior author Zhang and team fill the gap by focusing more closely on fT3, which is the biologically active hormone involved in glucose homeostasis, in “A Longitudinal Study of Thyroid Markers Across Pregnancy and the Risk of Gestational Diabetes,” published in The Journal of Clinical Endocrinology & Metabolism. They reasoned that conducting a comprehensive analysis of the fT3/fT4 ratio, which signals the conversion of fT4 to fT3 and has been linked with insulin resistance and other mechanisms of diabetes, might help elucidate the pathogenesis of GDM. They also studied how thyroid markers shift over the course of pregnancy. Their longitudinal case-control study (for which Zhang is a co-principal investigator) tapped into the Eunice Kennedy Shriver National Institute of Child Health and Human Development (NICHD) Fetal Growth Studies — Singleton Cohort (2009–2013), a multiracial and multicenter pregnancy cohort consisting of 2,334 non-obese and 468 obese women. Their subset comprised 107 GDM cases and 214 non-GDM controls, and eligibility criteria were age between 18 and 40 years, gestational status between eight and 13 weeks at enrollment, and a healthy state (i.e., no history of hypertension, diabetes, renal or autoimmune diseases, psychiatric disorder, cancer, HIV/AIDS, pregnancy complications like GDM or preeclampsia, or recent smoking). Using electrochemiluminescence immunoassay, the researchers measured fT3, fT4, and thyroid-stimulating hormone (TSH) at each of four visits to one of 12 clinics in the U.S.
“Abnormalities in thyroid function are relatively prevalent among pregnant women and have been linked to several obstetric complications. In addition, given the important role that thyroid hormones play in glucose metabolism and homeostasis, thyroid dysfunction has been suggested to play a role in the etiology of gestational diabetes mellitus (GDM), a common metabolic complication in pregnancy.” – Cuilin Zhang MD, PhD, Eunice Kennedy Shriver National Institute of Child Health and Human Development, Bethesda, Md. The first visit was in the first trimester (between gestational weeks 10 to 14), but, because thyroid levels fluctuate during pregnancy, measurements were also taken during the second trimester (gestational weeks 15 to 26), and researchers differentiated first- and second-trimester analysis. Third and fourth blood samples were obtained between weeks 27–31 and weeks 33–39, respectively. Thyroid markers were analyzed as quartiles, and conditional logistic regression was used to establish initial and adjusted odds ratios between the cases and their matched controls. Their findings showed that women with GDM weighed more prior to pregnancy and had higher family history rates of diabetes. After adjusting for these potential cofounders, the team found that their fT4 levels were significantly lower, and, at the first two measurements, their fT3 and fT3:fT4 significantly higher. Conversely, women with the highest levels of fT4 during the second trimester were significantly less likely to develop GDM. TSH levels did not correlate with GDM risk at any measurement point. As for the researchers’ secondary study goal of mapping the trajectory of certain thyroid markers, they found that fT3 and fT3:fT4 are higher in the setting of GDM, fT4 is lower, and TSH is higher only during the last trimester. Normal function aligns with a decrease in TSH early in pregnancy accompanying the temporary rise in human chorionic gonadotropin, followed by a gradual increase in TSH levels as well as a progressive reduction in fT3 and fT4. Collectively, their results implicate high fT3 and fT3:fT4 as independent risk factors for GDM and represent a novel way to monitor glucose homeostasis and assess GDM risk. Further support for this notion comes from the size and multiracial (white, black, Hispanic, and Asian/Pacific Islander) composition of the study sample. “The best/most optimal way of lowering high T3 remains controversial, especially for pregnant women. 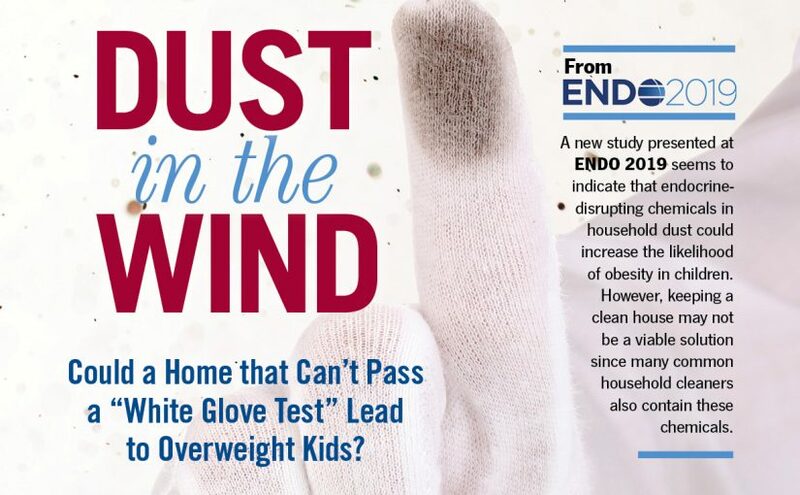 As such, these women may need close monitoring of their glucose levels through pregnancy.” – Cuilin Zhang MD, PhD, Eunice Kennedy Shriver National Institute of Child Health and Human Development, Bethesda, Md. Screening, therefore, could identify women who may need additional care during pregnancy. “The best/most optimal way of lowering high T3 remains controversial, especially for pregnant women. As such, these women may need close monitoring of their glucose levels through pregnancy,” Zhang says. Although lowering high T3 with exogenous methods may not be currently recommended, making recommendations for regular exercise and healthy diet is warranted throughout pregnancy and should perhaps be emphasized for women with this marker. -Horvath is a Baltimore, Md.-based freelance writer and a regular contributor to Endocrine News. She wrote about the top endocrine discoveries of 2018 in the December issue.